Summer is the perfect season to hit the open road and cruise the highways. If you are like most people, you probably pack more than is needed but not the real necessities. MVD Express has compiled a short checklist for you to make sure your road trip is fun and safe for everyone. Maps – We recommend taking your mobile GPS and a paper map. Sometimes you may not be able to charge the batteries, so the paper map is a great back-up. Spare tire, car jack, an extra set of keys – The last thing you want is to get stuck on the road with an emergency. Having a spare tire, jack, keys and emergency toolkit will make sure you are prepared for any unexpected emergency. Updated insurance card, vehicle registration and driver’s license – Getting caught on the road without any of these items can result in fines, penalties, vehicle repossession and so much more. 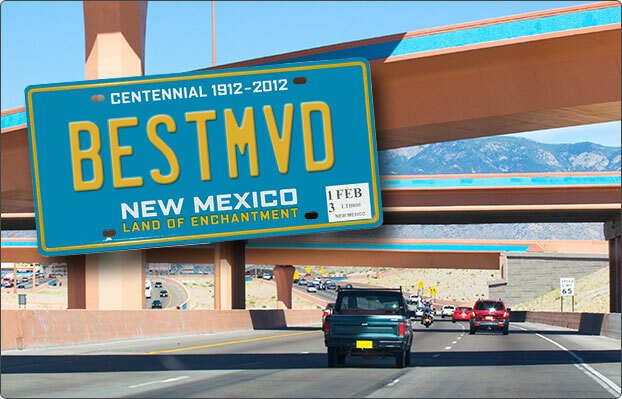 If you need to update any of this information or acquire it, MVD Express has you covered. Just visit us at any of our New Mexico locations. Toiletries – You may not see a rest area for a long time and these can always be useful. Pack things such as toilet paper, soap, trash bags, toothbrushes and other essential items. First-aid kit — Life can be unexpected sometimes, so having a first-aid kit stocked with bandages, gauze, ointment and other medical items can prove itself useful. Important phone numbers – Stored numbers in your cell phone are not useful if you have no battery life left. If you need to call someone in case of an emergency, written numbers are more than handy. Snacks and beverages – The last thing you want to is to find yourself in an area, hungry without food or water. A playlist for the road – Good tunes can shape any traveling experience. We recommend having a few different ones to reflect whatever mood you may be in. This will also help prevent any boredom or repetition of songs. A camera – Capture all of the great memories at every stop on your road trip. A travel companion – Traveling alone can sometimes be a great experience, but having a great travel buddy can turn an ordinary trip into an adventure! Wherever the road may take you, always make sure you are prepared. Life can bring unexpected turns and bumps, but with these handy tips you will have nothing but smooth sailing.